By all accounts, Prime Minister Justin Trudeau's message of inclusiveness, diversity and income equality was well received at the annual gathering of global business and political elite. What will come of all the interest shown toward Canada this week now remains to be seen. "All that has really mattered to most of us is that our prime ministers look good to outsiders," Richard Gwyn wrote in The Northern Magus, his attempt, in 1980, to take stock of Pierre Trudeau's time in power. "By casting a shadow when he goes abroad, Trudeau reinforces our self-esteem, which, in the manner of the Japanese, we measure by the way others esteem us." Thirty-five years later, another Trudeau went to Davos, Switzerland, his appearance at the World Economic Forum's annual summit hyped variously in the international press. "This year, there is another kind of Davos man," a reporter with the New York Times ventured near the end of the summit's five-day agenda, riffing on the notion of the sort of plutocrat who has become synonymous with this gathering of the global elite. "He is a former snowboarder and schoolteacher who now runs that country just north of the United States." Above the story ran a photo of Justin Trudeau, seated on an unseen stool — no jacket, sleeves on his crisp white shirt rolled up to the elbows, purple tie hanging slightly loose, top button of his shirt undone — hands extended as he enthused about something or other. "Prime Minister Trudeau of Canada has been bringing a message of optimism to Davos," read the caption. And that was before Trudeau's declaration that feminism should be embraced had been applauded in the main hall and a writer at the Guardian had responded that, "Canadian PM Justin Trudeau is living up to his reputation as a 21st century leader." So, if what Gwyn wrote in 1980 is at all the case now, then Trudeau's turn at Davos might be deemed a success. But then surely this should be about more than self-esteem. "It's a very Davos-friendly message," said John Manley, the former Liberal industry minister and a regular Davos attendee. "His message about inclusiveness and concerns about income equality and all that was well received here. 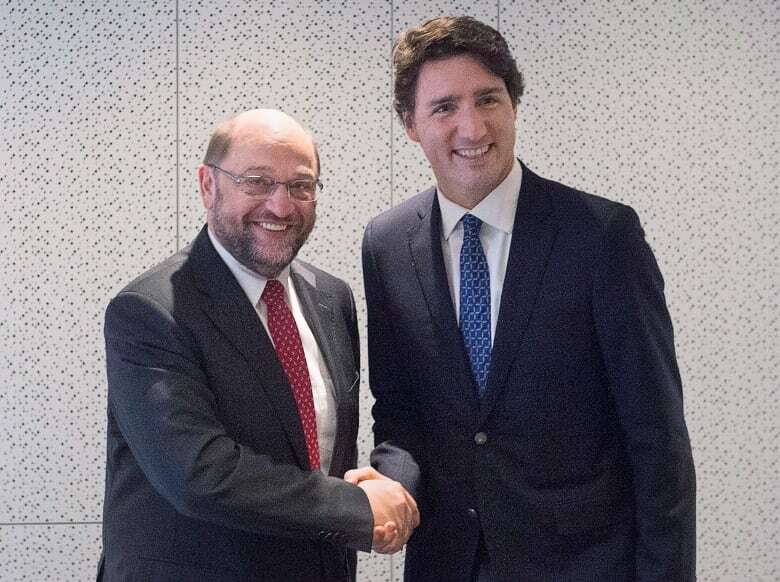 And the change in tone from Canada on climate change also is a very Davos-friendly tone." Davos values the new and the transformative, and Trudeau is still the former and has promised to be the latter. While Stephen Harper was in power, Canada was a bit of a star on the world stage too, but in a boring sort of way — for how undramatically the global recession had impacted Canada, for the relatively stable fiscal situation and the soundness of our banking regulations. Trudeau is something else altogether. "Of course there's a certain celebrity status that he has," Manley added. "And so if you're riding one of the shuttle buses and say you're from Canada, you've got friends." On Thursday, Calgary mayor Naheed Nenshi said there was "huge, huge buzz" about Canada. Someone from India had tweeted that Trudeau had surpassed Bono as the biggest star in Davos. At one forum Nenshi participated in, a member of the audience had asked how easy it was to immigrate to Canada. During a discussion of energy policy, a delegate said that the rest of the world should follow Canada's lead on pricing carbon. An Austrian and an American spoke positively of Canada's efforts to integrate refugees (while also lamenting that Canada was not taking in very many). Trudeau's reception should not be overstated. His appearances in the main hall were not filled to capacity, though his keynote address did at least appear to outdraw the preceding discussion with the Iranian foreign minister. And Davos is its own strange little world. But he does seem to have fans. Still, while it might be nice to be thought of as a leader on confronting climate change, a comprehensive plan for reducing greenhouse gas emissions — that which Canada still lacks — might be nicer. And while his remarks on diversity might have been well-received, he was also slightly rebuked by Nenshi afterwards for also seeming to suggest that Canada had to move beyond resources. And his explanation, offered in the question-and-answer session after his speech, for why Canada was withdrawing its fighter jets from the anti-ISIS bombing campaign could still be picked apart. George Soros later quibbled with his optimism for the world economy. And all the while, of course, the domestic economy was wobbling back home. Will power breakfasts lead to deals? What Trudeau touted at week's end was investment. It is the potential of lucrative deals for Canadian businesses and workers that is supposed to justify the presence of the prime minister — not to mention another five cabinet ministers — in Davos. Over three and a half days — longer than the two days Harper spent in Davos in 2012 — the prime minister participated in nine bilateral meetings with the leaders of major corporations. On Thursday, he also sat down for a breakfast and a dinner organized by Dominic Barton, a Canadian who is director of McKinsey, the powerful management consultancy. At dinner were bankers and investors from Hong Kong, Germany, India, Switzerland and Malaysia. Breakfast was had with the chairmen of Mitsubishi and General Electric, as well as Larry Fink of BlackRock, the American investment firm that reportedly manages $4.3 trillion in assets (Fink was number 34 on Forbes magazine's latest list of the world's most powerful people). "We shouldn't expect the buzz to lead to quick results any more than previous international visits by other PMs don't lead to immediate contracts." — a comment from EOttawa on the CBC Forum chat on Trudeau abroad. Read the full discussion here. On Saturday morning, Mark Carney, the former governor of the Bank of Canada and now the governor of the Bank of England, organized a breakfast for Trudeau that included executives from Goldman Sachs, Unilever, Bloomberg, HSBC, BlackRock, Alibaba and Mark Wiseman of the Canada Pension Plan Investment Board. Trudeau also had an unannounced off-the-record discussion with international media executives, organized by the media subgroup of the World Economic Forum. As part of the official program on Thursday, Trudeau delivered remarks to a luncheon entitled "A New Chapter for Canada" and then spoke to delegates at a closed session advertised as "A Bold New Beginning for Canada." 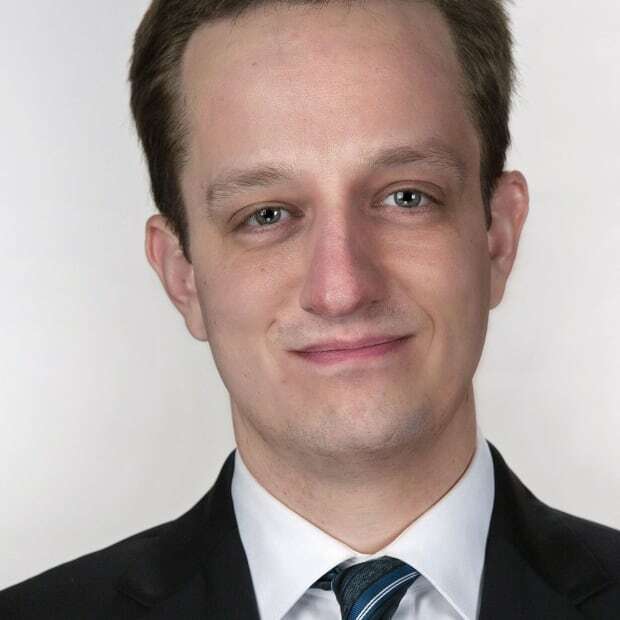 "Every year there are themes and this is one of the themes this year, this is one of the strong themes, it's one of the positive stories at Davos," James Smith, chief executive officer at Thomson Reuters, said of Canada after leaving that last session. "There's certainly more interest in Canada than I've seen in the past." It remains to be seen what that interest will amount to. In a poll released last September, 41 per cent said Canada's international reputation had worsened with Stephen Harper in power — despite international surveys that suggest otherwise — and if any of those people were particularly worried about that, they might feel better now. Manley says that branding matters for countries as it does for businesses. Maybe more concretely, the budget should be watched for signs of follow-up, indications that Trudeau's team has been moved to woo foreign investment with specific policies. And there were also nods to a foreign policy approach: Trudeau loudly touting Canada as an example of diversity, but also insisting that Canada would not lecture other countries. The dispatch in the Times surmised that Trudeau's message of optimism was "the same message that Mr. Trudeau … took to the Canadian electorate that voted him into office." 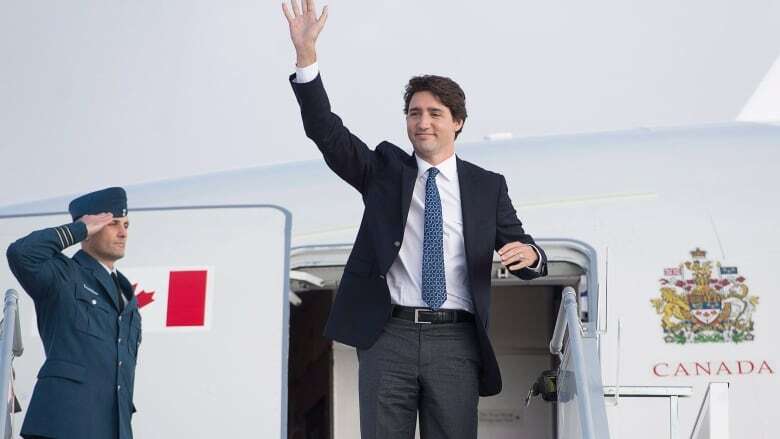 Indeed, Trudeau's 86 hours in Davos could be likened to his 78 days on the campaign trail last year. There, too, was promise and excitement. Those sessions in Davos could have just as easily have been entitled "Real Change" and "Better Is Always Possible." But on Saturday afternoon, escorted by two Swiss fighter jets, the prime minister's plane departed Zurich, bound for Ottawa. Another intriguing campaign behind him and merely the task of governing for a full four years left to do. Returning to the House of Commons on Monday, the audience opposite will be somewhat less eager to embrace him. Can't see the blog? Click here.